These Fly London Mes 2 womens mid-calf boots are a superb addition to their autumn/winter line-up. With edgy, angular stitching and curvy shaping - this beautifully designed, womens mid-calf boot has a buckled detail at the top and on the outerside of the foot. Fastening this beautifully designed boot is a full-length, instep zip which allows the Fly London Mes 2 womens mid-calf boot to be easily fitted. Inside, the Mes 2 has a soft inner lining while a comfortable 4.5cm wedge heel and it's sole unit keeps those tired feet looking and feeling good. 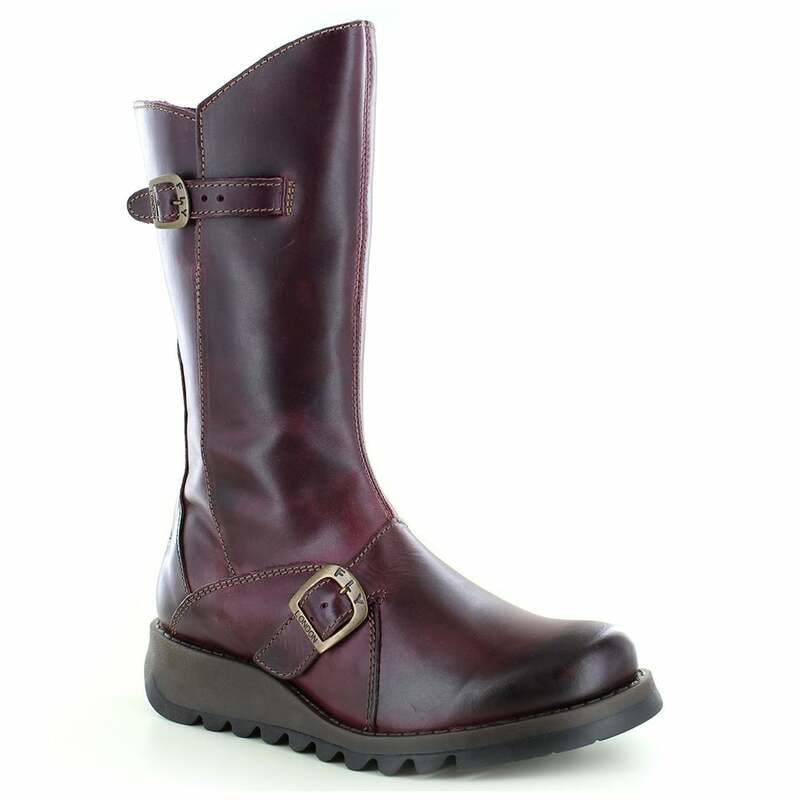 These purple Mes 2 boots from fashion icon Fly London are perfect for the fashion-conscious women in the new season. A popular boot by Fly London, get yourself the Mes 2 while they're still here!